CLUNK Puppet Lab offers workshops in Puppet Performance, Devised Puppet Theatre, Story to Stage, Puppet Building, Automata and Sculpture. If you can’t find what you are looking for in our available workshops, then contact us and we will be happy to create a workshop tailored just for you. CLUNK’s Co-Artistic Director Shawna Reiter, has been teaching for over 12 years at universities and colleges, community art programs, and the public school system. Please note that at this time CLUNK does not have a teaching facility. Requests for workshops are dependent on the provision of space such as a classroom at a school or art gallery. If you are looking for a space, the Puppetmongers Studio is also an affordable alternative. Shawna will be teaching at the Toronto School of Puppetry in 2018. Stay tuned for more info. The Toronto school of puppetry is dedicated to building and strengthening Canada’s puppetry culture through education, and by supporting the development of new work by emerging and established artists. Our workshops are people for all walks of the arts who are interested in learning about and integrating puppetry into their artistic practise. Shawna is one of many artists teaching at the TSP. A 14 day exciting, vigorous, hands-on, training program in the art of puppet theatre. Designed to introduce you to all of the basics of puppetry from manipulation and construction to design and performance creation. For puppeteers, visual artists, composers, teachers, writers, performers, designers, dancers, technicians, or anyone interested in integrating puppetry into their creative practice. • The study of puppet manipulation; breath, voice, impulse, and movement. 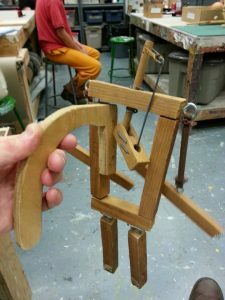 • Puppet construction; design, material and mechanisms. • Performance creation explored in a puppet lab setting through collaboration in diverse ensemble groups, creating original and experimental material. • The business of puppetry; grants, fundraising, publicity and promotion. The Puppetry Intensive is a Humber College Continuing Education Course, taught by Shawna Reiter of CLUNK Puppet Lab, Faye Dupras of Foreign Landscape Productions and Ann and David Powell of Puppetmongers Theatre. The Master Class Series are workshops designed for students who have a general knowledge and experience in puppetry and are looking for specific skills in a particular area of puppetry arts. 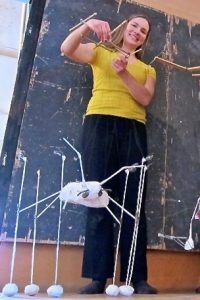 These three-day workshops will provide the student with advanced techniques and methods in small groups, as well as studio time to hone skills under the guidance of a professional puppeteer. Tuition includes a Show and Tell evening wrap-up for each series, so you can also see what the other workshops have been doing. 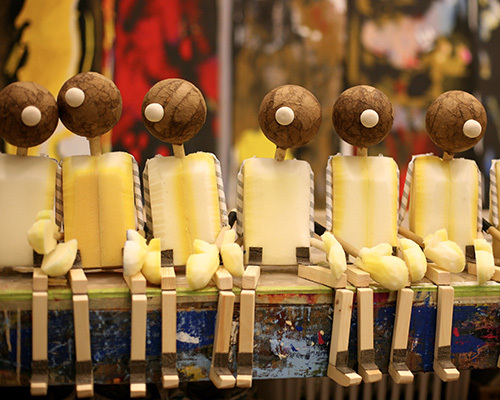 This is a beginner exploratory, hands-on workshop, aimed at people who want to make their own automata, toys, mechanical sculptures, set pieces, or other devices. Participants will lean the basic principles of mechanics, and create simple mechanical prototypes (using a variety of materials and tools). The workshop will begin with an overview of basic mechanical principles and basic mechanisms including levers, cranks, and cams and we will build some of these mechanisms to use for reference throughout the workshop. Working through a design process participant’s will design and build their own automata out of cardboard, foam-core, paper, dowels, small pieces of wood and various fasteners. This workshop is a great opportunity to experiment, and test ideas. When we read, hear or see a truly engaging story, it comes to life within us. Our empathy for the characters, our ability to conjure up the world in which the story takes place, and our willingness to suspend our disbelief is embodied in the experience. 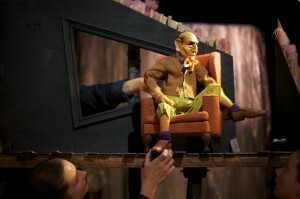 Good storytelling is one of the foundations of original puppet theatre. Working from a variety methods and materials you will have the opportunity to explore different approaches and processes to transform your ideas through ensemble creation, devising, character development, and on your feet role playing. Be prepared to go deep into your imagination, get physical, work with your hands and play. String Puppets have their own properties of movement, relationship to gravity, tension, weight, and character. Day Two: Participants will explore movement, breath, impulse, and focus and performance techniques. Emphasis will be on experimentation and play. 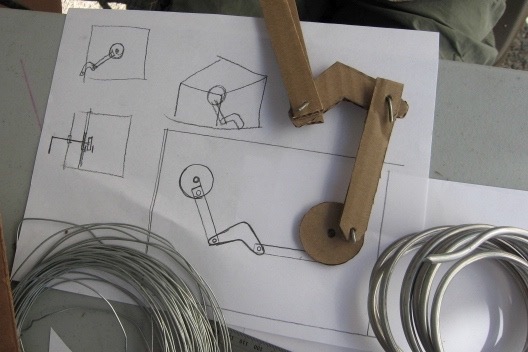 Inspired by the work of current artist-in-residence, Jerome Havre, this comprehensive workshop will take students through the process of designing and building a puppet. An understanding of mechanisms and how they work is invaluable to all puppeteers. 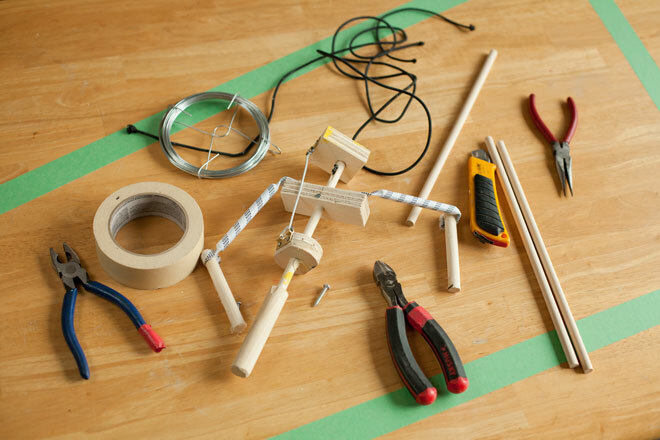 Building on a foundation of basic principles the students will explore puppet construction, design, materials and mechanics including joints, balance, controls and aesthetics.